Night Job - Edmund is a PhD student at the RCSI - does he ever sleep! How did he get into genealogy? 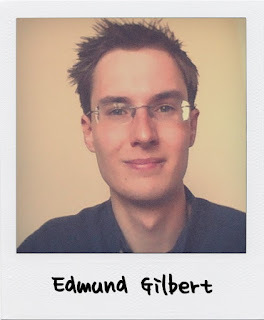 Edmund got into genealogy through his PhD. The Atlas collects genealogical information of its participants, which is the first direct exposure he had to genealogy. It being quite new, Edmund is always a bit amazed how well you can predict the county of origin for participants based on their ancestor’s surnames. What about his involvement with genetic genealogy? 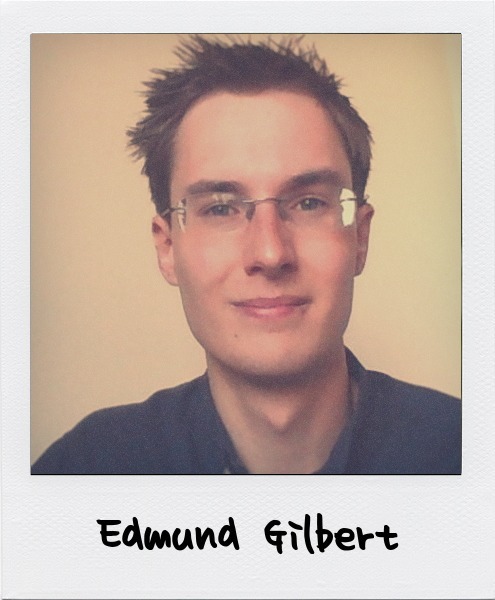 Edmund is a PhD student at the RCSI working on the analysis of the genetic data produced by the Irish DNA Atlas, a DNA cohort where they have genealogical information on each participant as well. Currently the Atlas is working on investigating the extent of population structure within Ireland as represented by the Atlas. Each participant has all eight of their great-grandparents from close areas so each participants’ DNA profile represent the picture of the genetic diversity found in those areas. So what will Ed be talking about? Edmund will be presenting the latest results of the Irish DNA Atlas project, which has used genome-wide autosomal genetic data to reveal a fine scale population structure within Ireland, and found genetic evidence of historical migrations into Ireland. The Atlas is being run as a collaboration between the Royal College of Surgeons in Ireland and the Genealogical Society of Ireland. This work has provided valuable information on the history of the Irish population and compares the genetic makeup of the Irish to that in neighbouring Britain, as well as mainland Europe. It also provides fresh insights into our understanding of the role of DNA in various diseases within Ireland. Edmund will be introducing the Irish DNA Atlas, what it is, the entry criteria for participants, and what the Alas aims to investigate. He will also be discussing the preliminary findings of the Atlas, what’s been found about, and the features of, Irish genetics compared to neighbouring British and European genetics. By investigating genetic population structure within Ireland we hope to contribute to our understanding of Irish history, and of groups within Ireland. The data produced at the moment is primarily based on autosomal genetic data, although the Atlas has contributed to a number of Y-Chromosome studies, of which the results relating to Irish Y-chromosomes will be briefly discussed. Where can people get more information about the topic? I have an Irish line that is well documented here in America. Descendants of Robert Brown, born August 17. 1822. According to his obituary he was born in Donegal, Ireland. Would this be of any use to you? It must be 8 great grandparents from the same area (i.e. within about 50 km of each other). What day and time is Eds talk please? Ed will be speaking on the Sunday (Oct 22) at 2pm. Looking forward to seeing some results and analysis! I'm one of the Laois contributors! Is the presentation being recorded for later viewing on the internet for those of us living outside the area? I find this topic to be of extreme interest. My oldest known paternal line is from Belfast, Antrim county circa 1798. I have a scottish surname and my Y-DNA is I-FGC 9486, Norwegian glade, but in the autosonal range I have NO scandinavian matches, zero, zip, nada. My hypothesis is that a scandinavian ancestor, probably from what is now Norway, was a 9th century invading Viking that colonized southern Ireland until a direct paternal descendant was thrown out of Ireland around the 12th century by the Normans. That ancestor ended up in Southwest Scotland. Some of these 'foreign Gaels", as they then were known, became mercenaries and others became farmers. When the Stewarts gained control of Scotland' and became the landlords of much of the land including southwest Scotland, many of the tenant farmers adopted the name of their landlords. Many of these tenant farmers relocated to Northern Ireland during the Plantation of Ulster in the 17th century. Ten of the sixty-two plantation undertakers were Stewarts. The undertakers were known to populate their holdings with tenant farmers within their Scottish jurisdiction. Thus, my hypothesis as to how a viking was transformed to a "foreign Gael" and ultimately a Scot and then a Scot-Irish over the course of eleven centuries and his descendants now live in America. Soon to come to a theater near you. We can look forward to many exciting interpretations of the data, just as was done with the results of the POBI study, and in this regard the Leslie 2015 paper is a must-read. The publication for the Irish DNA Atlas should follow some time next year and to avoid endangering the publication the session will not be recorded.